To me the "26 volumes of the Warren Report" means the whole package, including the report itself, nut I'm more than happy to simply agree to disagree on that. Selectively gathered evidence published in 26 volumes is also an expression of an opinion. The Warren Commission published 26 volumes of hearings and exhibits within a few months after issuing its report. Volumes 1 - 5 are hearings conducted by the Commission members in Washington DC. Volumes 6 - 15 are hearings conducted by staff attorneys on location in Dallas, New Orleans, and other places. Volume 15 also contains an index to names and exhibits. Volumes 16 - 26 contain photographed Commission Exhibits, usually abbreviated to CE (i.e., CE 399), plus other exhibits organized by name. I certainly interpreted it that way. The 26 volumes were published separately and in support of the report. To me the "26 volumes of the Warren Report" means the whole package, including the report itself, but I'm more than happy to simply agree to disagree on that. 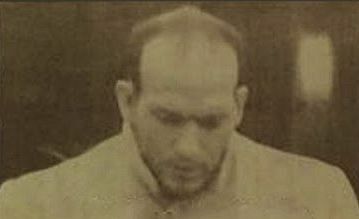 Why does Mr Lovelady in his various '63/'64 statements give every impression of having stayed inside the building upon his return, and make no mention of going back out onto the front steps, when the Hughes and (as below) Martin films clearly show him standing there smoking a cigarette several minutes after the assassination? 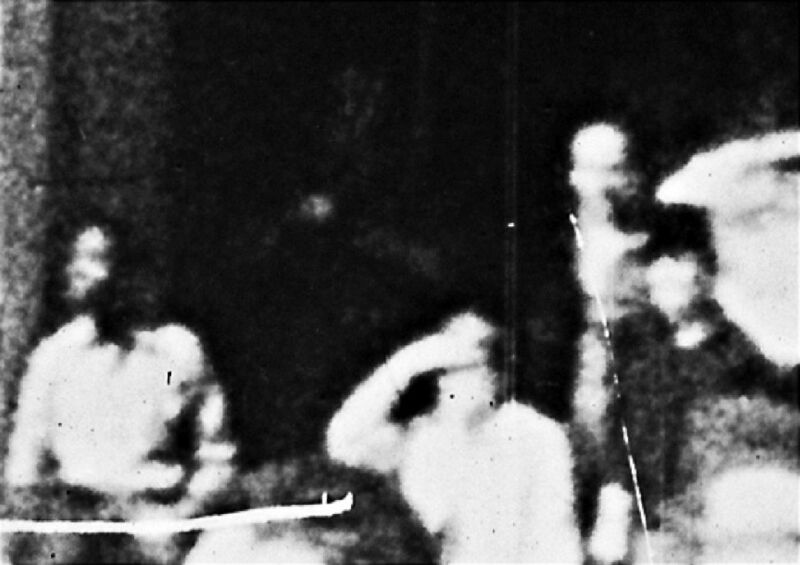 Why was Mr Lovelady so paranoid about having his photograph taken by members of the public after the assassination? We went as far as the first tracks and everybody was hollering and crying and policemen started running out that way and we said we better get back into the building, so we went back into the west entrance on the back dock had that low ramp and went into the back dock back inside the building. ---------------yet tell the HSCA that he didn't re-enter the building until about 20-25 minutes after the assassination? ---------------and in this 1964 photo of him taken surreptitiously in 1964? 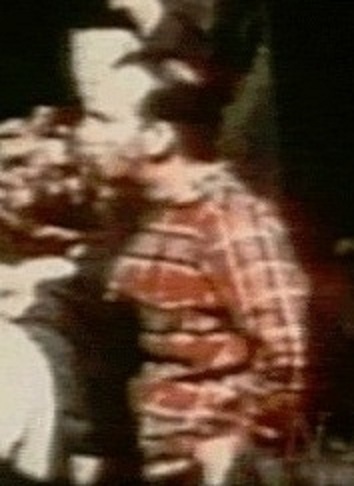 We have footage of Mr Lovelady wearing a long-sleeved red plaid shirt that day. 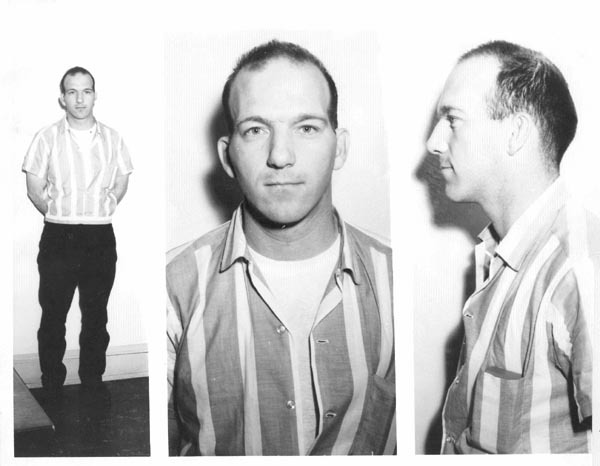 Why will Mr Lovelady inform the FBI in February '64, and Mr Jones Harris subsequently, that the shirt he was wearing out on the steps at the time of the motorcade was a short-sleeved, vertically striped red and white shirt? And... why will he years later protest that he said no such thing, even posing for photographs on several occasions in the red plaid shirt? By looking at the Darnell girl, Steve of the 6FM would tell you she is not Westbrook. It's funny how Iacoletti's "Gloria Calvery" in Darnell doesn't look anything like Gloria Calvery, but does look like a different Gloria -- Gloria Holt.